And now you have been pleased to give your blessing to the family of your servant, so that it may go on for ever before you; you, O Lord, have given your blessing, and a blessing will be on it for ever. 1)Psa 100:4-5 Entren por sus puertas con acción de gracias; vengan a sus atrios con himnos de alabanza; denle gracias, alaben su nombre. Porque el SEÑOR es bueno y su gran amor es eterno; Su fidelidad permanece para siempre. NVI 2)Psa 100:4-5 Entrez dans ses portes avec des louanges, Dans ses parvis avec des cantiques! Célébrez-le, bénissez son nom! Car l’Éternel est bon; sa bonté dure toujours, Et sa fidélité de génération en génération. 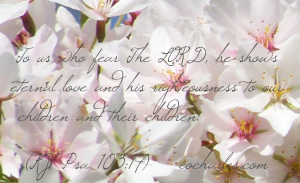 FLS 3)Psa 100:4-5 Gaat in tot Zijn poorten met lof, in Zijn voorhoven met lofgezang; looft Hem, prijst Zijn Naam. 1. ↑ Psa 100:4-5 Entren por sus puertas con acción de gracias; vengan a sus atrios con himnos de alabanza; denle gracias, alaben su nombre. 2. ↑ Psa 100:4-5 Entrez dans ses portes avec des louanges, Dans ses parvis avec des cantiques! Célébrez-le, bénissez son nom! 3. ↑ Psa 100:4-5 Gaat in tot Zijn poorten met lof, in Zijn voorhoven met lofgezang; looft Hem, prijst Zijn Naam. We Thank God For All Of You. Grace and peace from God our Father and the Lord Jesus, the Messiah, be yours. We always remember you when we pray, and we thank God for all of you. 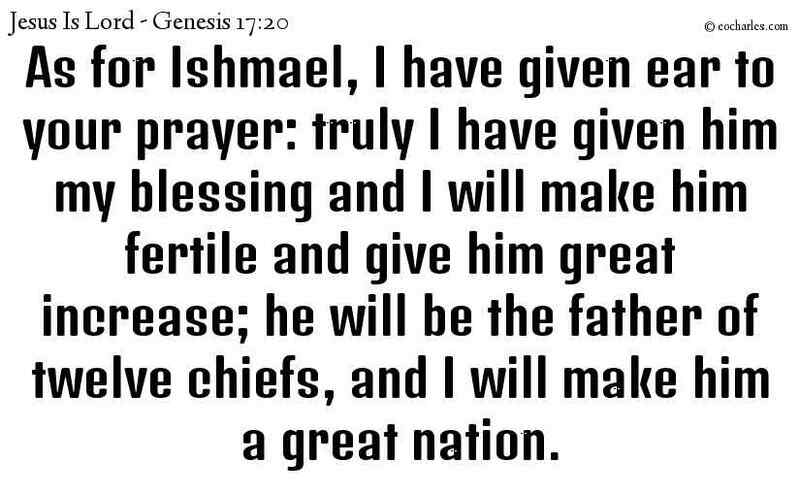 Every time we pray to God our Father, we thank him for all that you have done because of your faith. And we thank him for the work you have done because of your love. And we thank him that you continue to be strong because of your hope in our Lord Jesus Christ. Brothers and sisters, God loves you. And we know that he has chosen you to be his people. Thank you God, for saving us. the vision that God gave for your life. Don’t listen to the world. and take his Joy. 5)Mat 11:28 “Come to me all of you who are tired from the heavy burden you have been forced to carry. I will give you rest. Mat 11:29 Accept my teaching. Learn from me. I am gentle and humble in spirit. And you will be able to get some rest. The LORD saves his people. 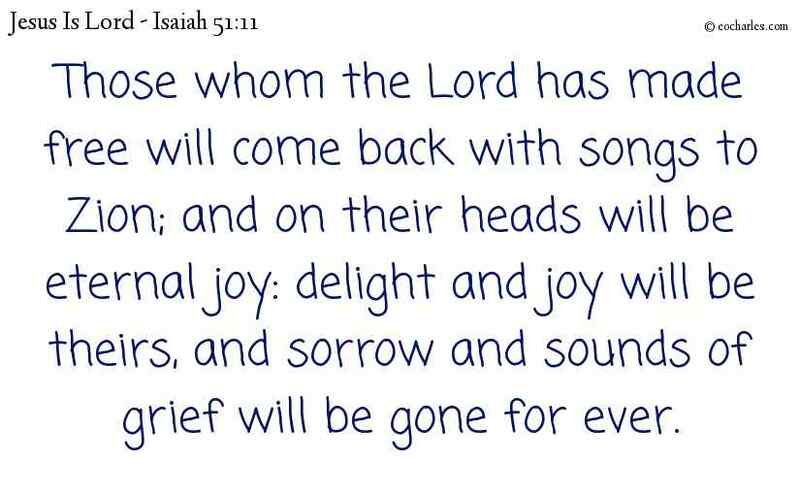 They return full of joy. Their happiness is like a crown on their heads forever. They sing with joy. All sadness is gone far away. We return full of joy. Our happiness is like a crown on our heads forever. We sing with joy. All sadness is gone far away. I return full of joy. My happiness is like a crown on my heads forever. I sing with joy. All sadness is gone far away. Thank You Jesus, For Saving Me. I Turn To You And Thank You For Filling Me With Your Joy. I Am So Happy To Have YOU Fill My Life. Thank You! Thank You For YOU Are My Everlasting Crown Of Happiness. I Sing To You With Joy. Thank You For Banishing Any And All Of My Sadness. 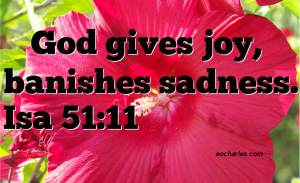 God gives joy, banishes sadness. 5. ↑ Mat 11:28 “Come to me all of you who are tired from the heavy burden you have been forced to carry. I will give you rest. Thank You God, For Your Eternal Love. 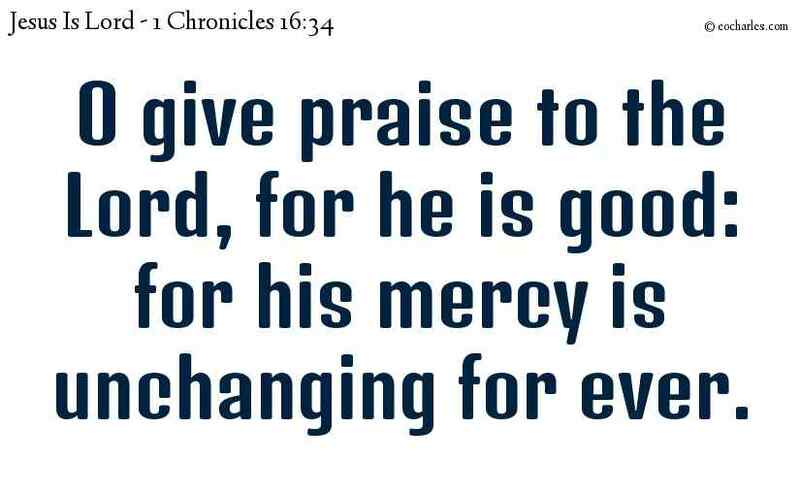 1Ch 16:34 Give thanks to the LORD because he is good. His faithful love will last forever. 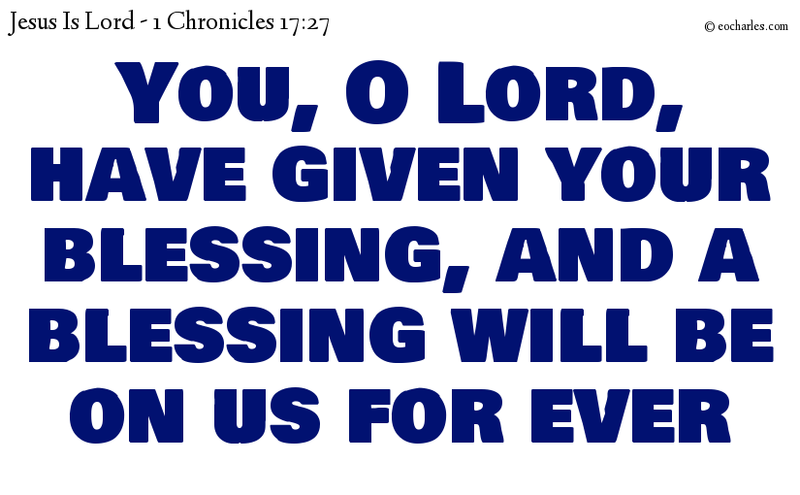 Continue reading Thank You God, For Your Eternal Love. Psa 118:1 Give thanks to the LORD, for he is good; his gracious love is eternal. 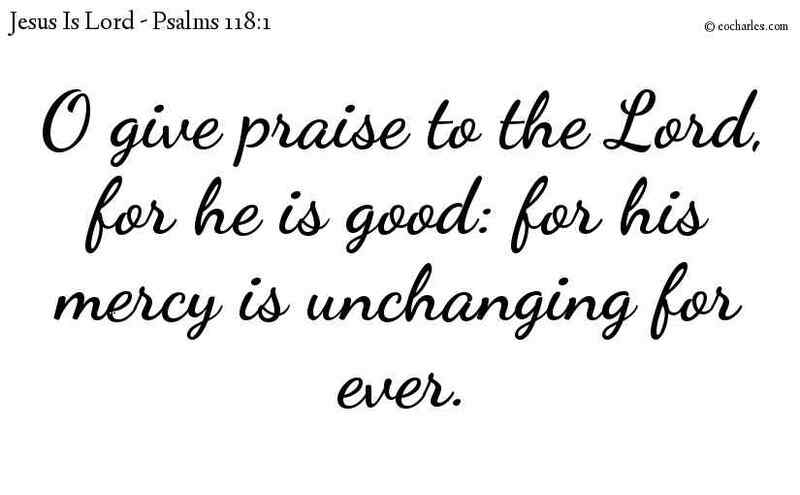 Psa 118:29 Give thanks to the LORD, for he is good and his gracious love is eternal. Thanks and Praises to The LORD, His LOVE Is Eternal. 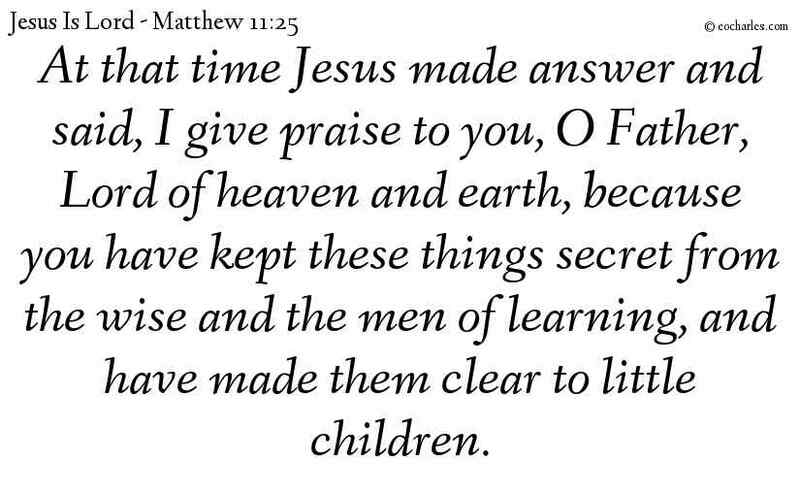 Mat 11:25 At that time Jesus said, “I praise you, Father, Lord of heaven and earth, because you have hidden these things from wise and intelligent people and have revealed them to infants.